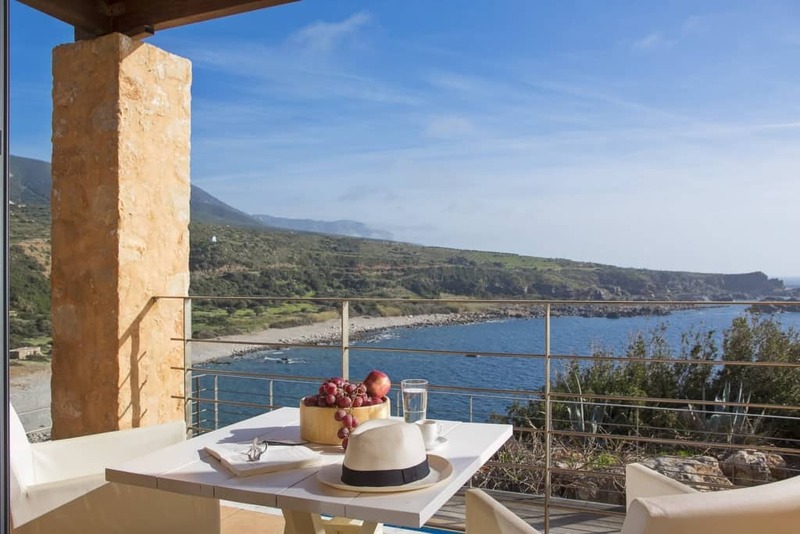 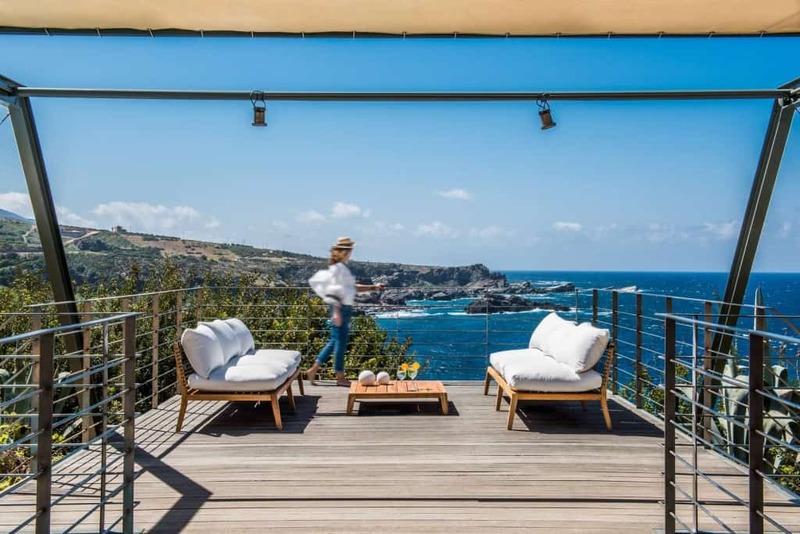 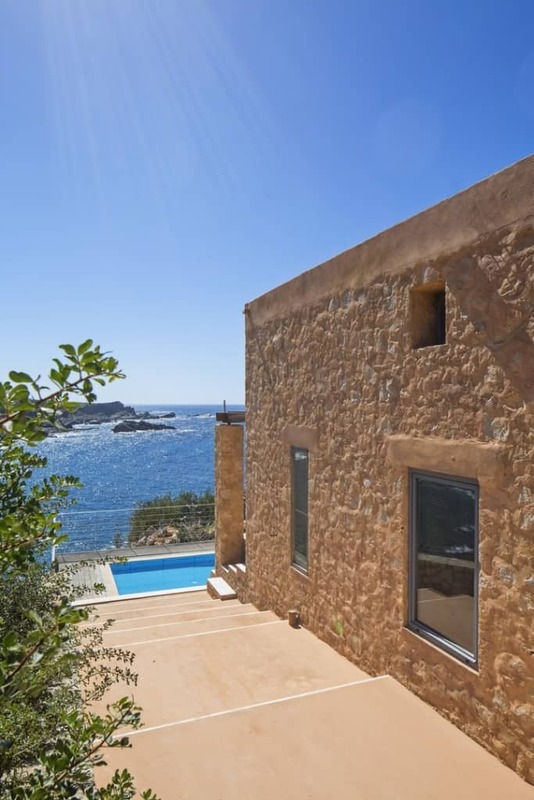 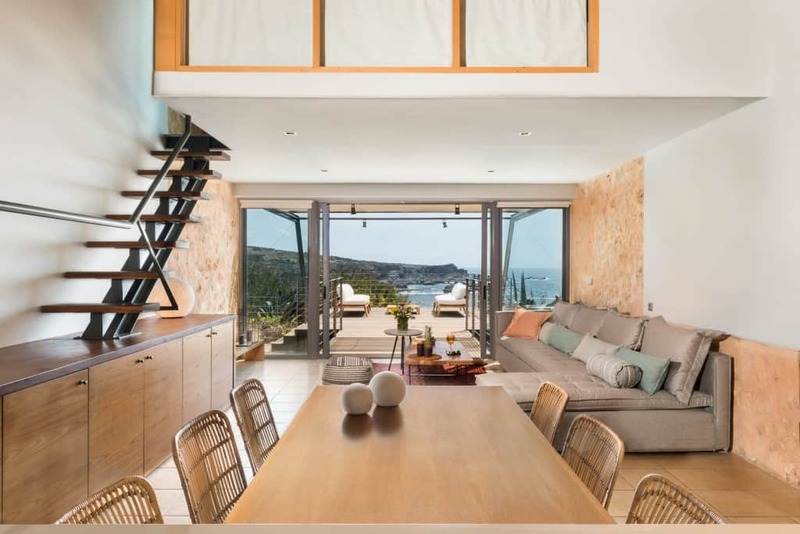 Situated on the edge of the cliffs of Cape Koutoulas, while overlooking an amazing sea view, villa Calypso is the ideal destination for those who look forward to an exclusive, tranquil holiday experience. 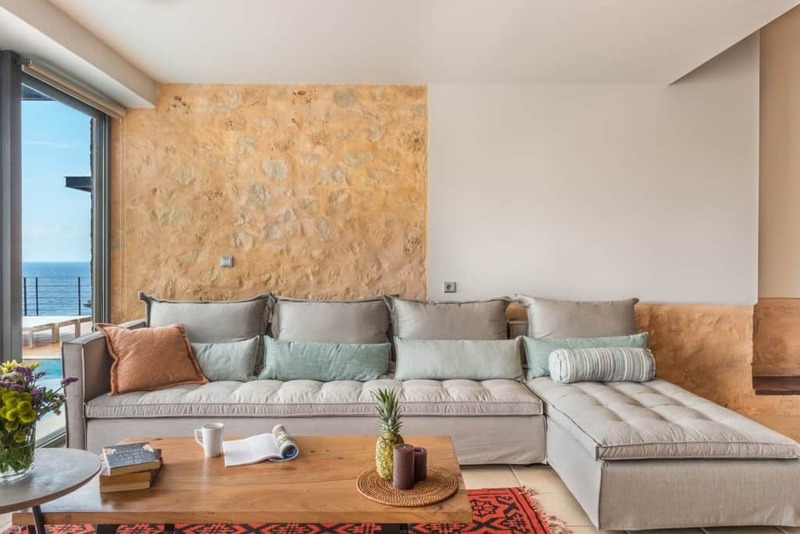 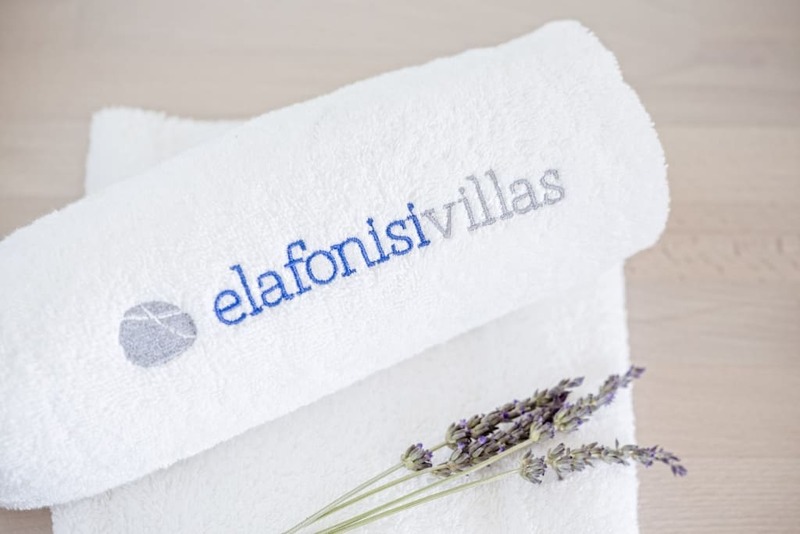 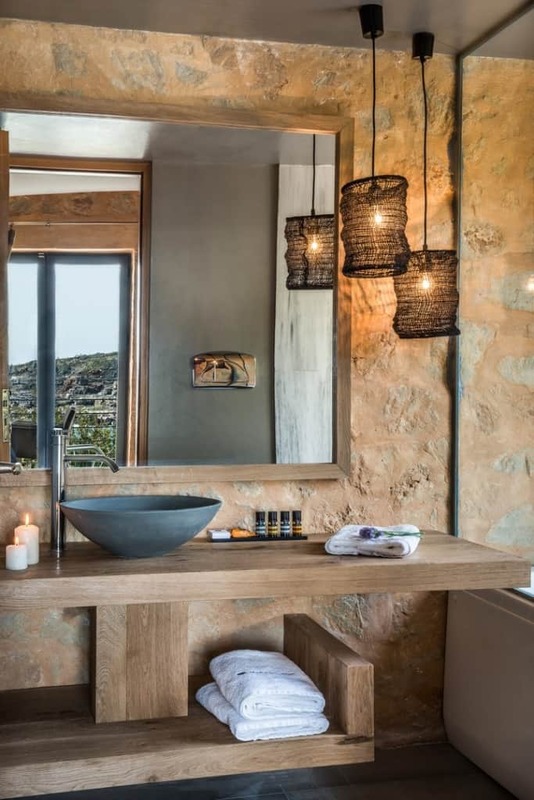 Combining the breathtaking natural Cretan beauty and the contemporary luxurious design, villa Calypso promises relaxing and private holidays in an idyllic setting. 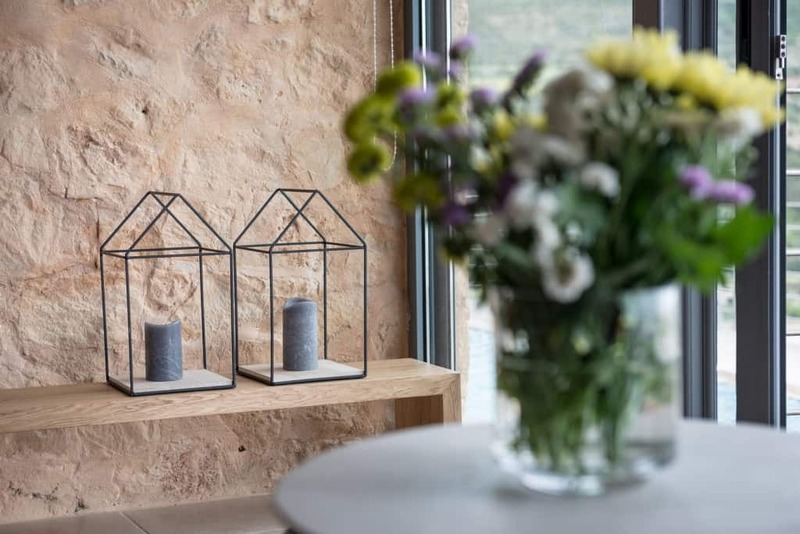 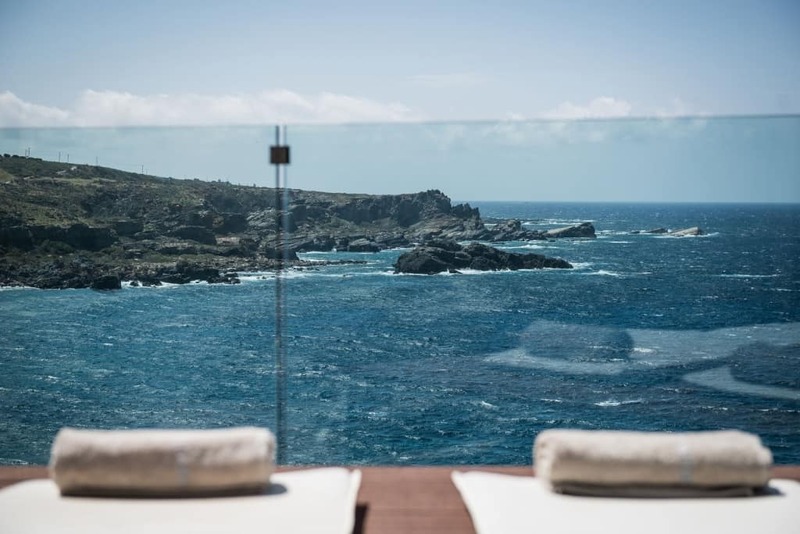 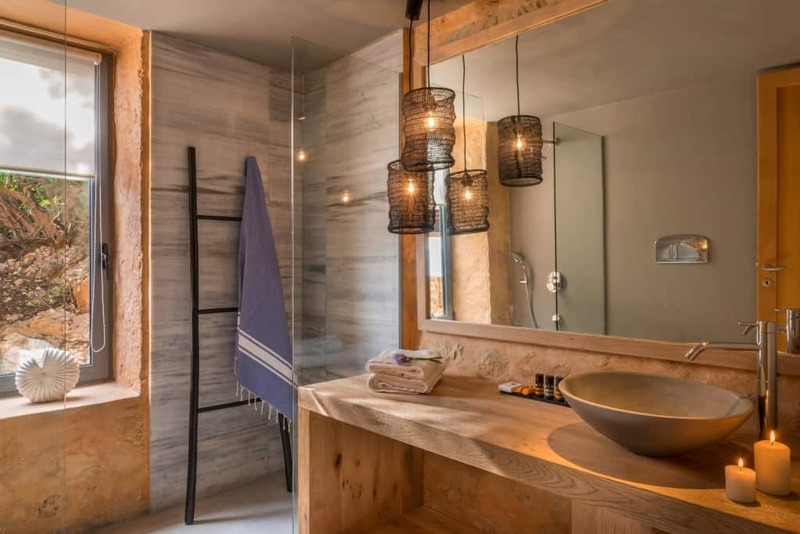 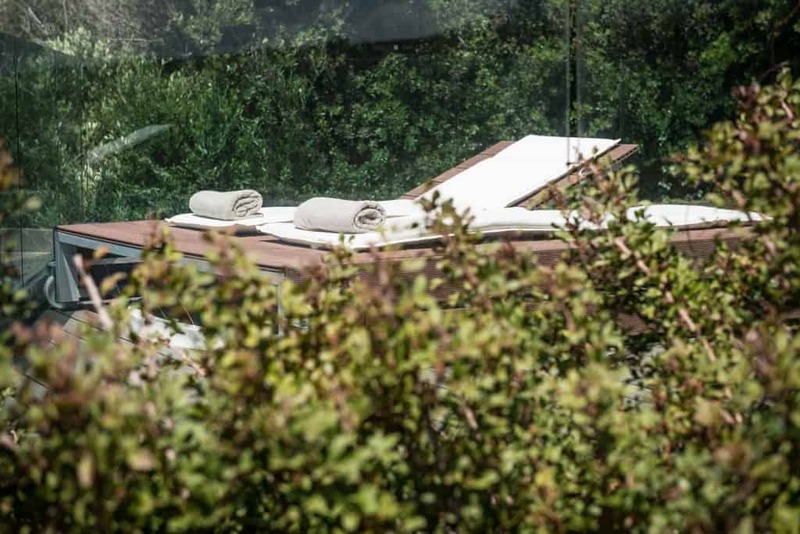 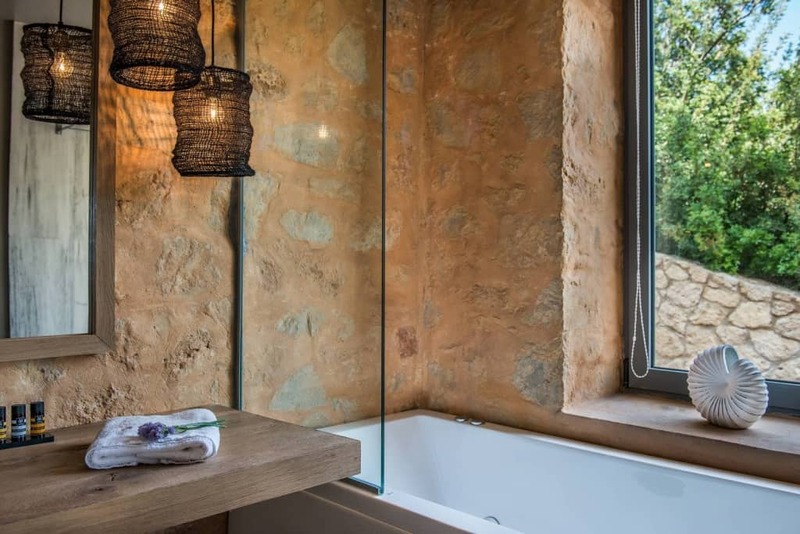 Stone, glass, wood and water work together composing a welcoming, soothing atmosphere which allows guests to unwind themselves and enjoy nature away from the busy areas of the island. 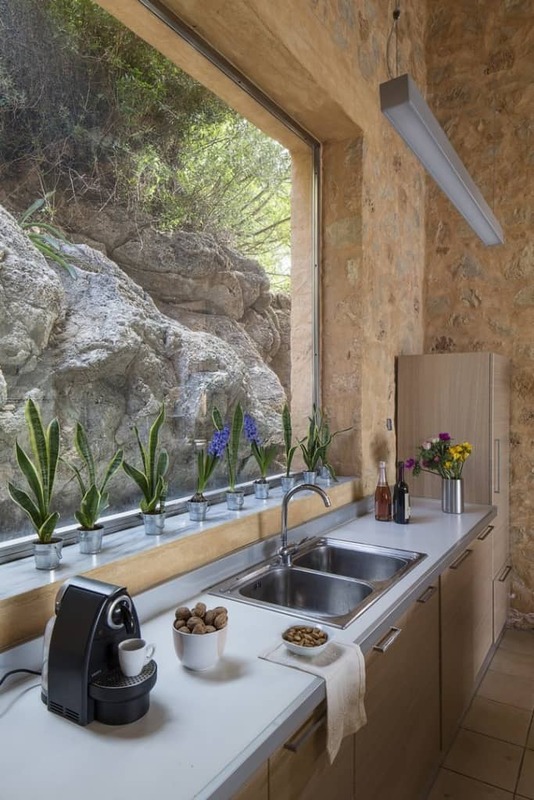 The residence covers an area of 165 square meter. 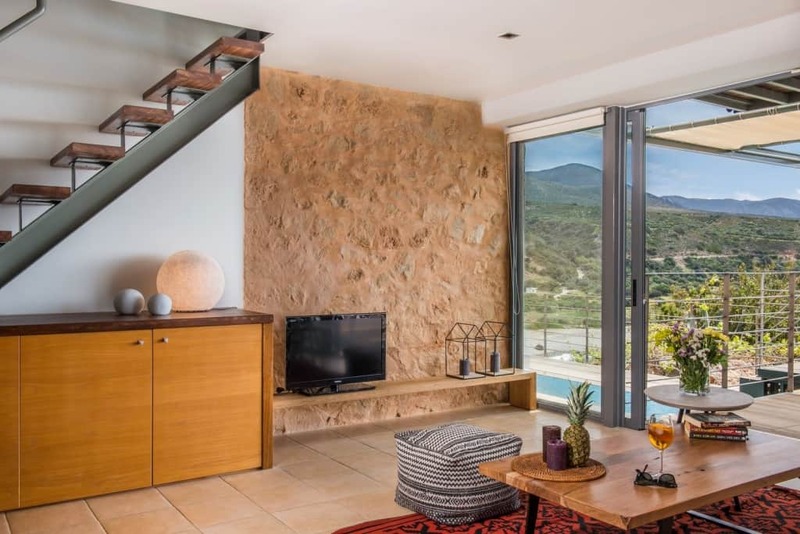 The comfortable living room with its wide patio doors offers a superb view to the pool and the sea. 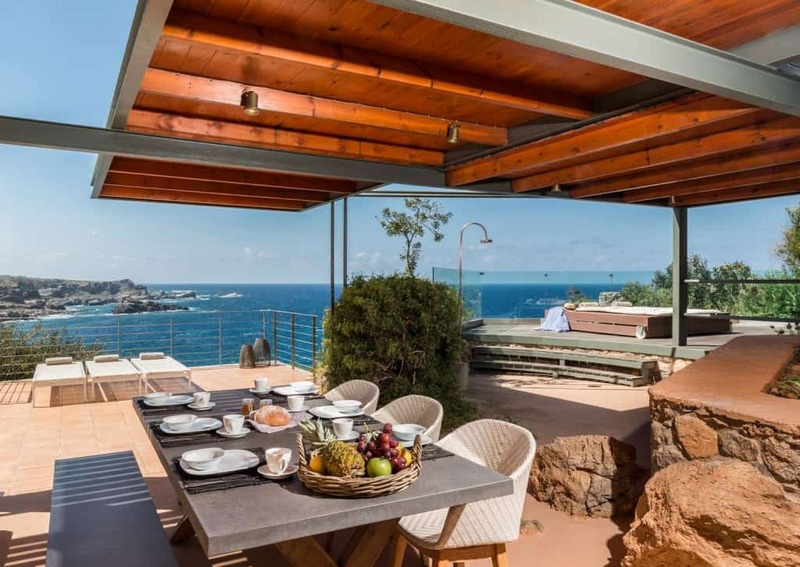 In the background, lays the fully equipped kitchen and the dining area with a comparably exquisite view of the villa’s exterior surroundings. 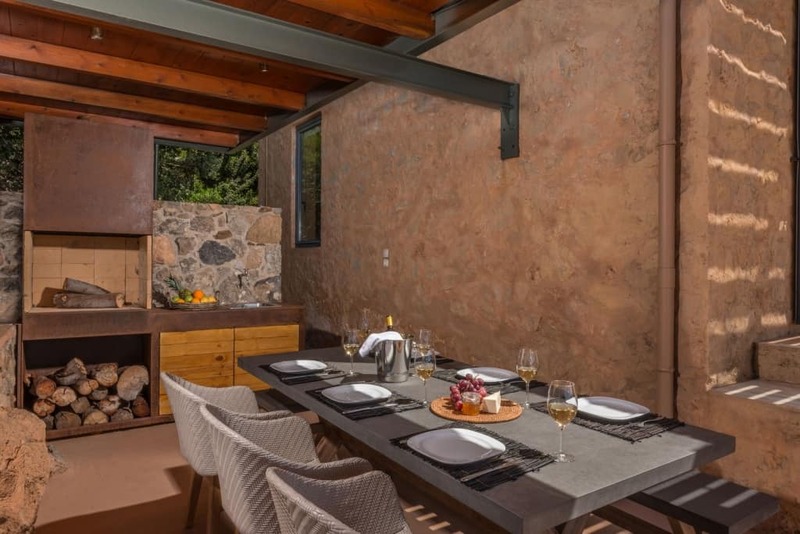 The villa features three bedrooms and three bathrooms. 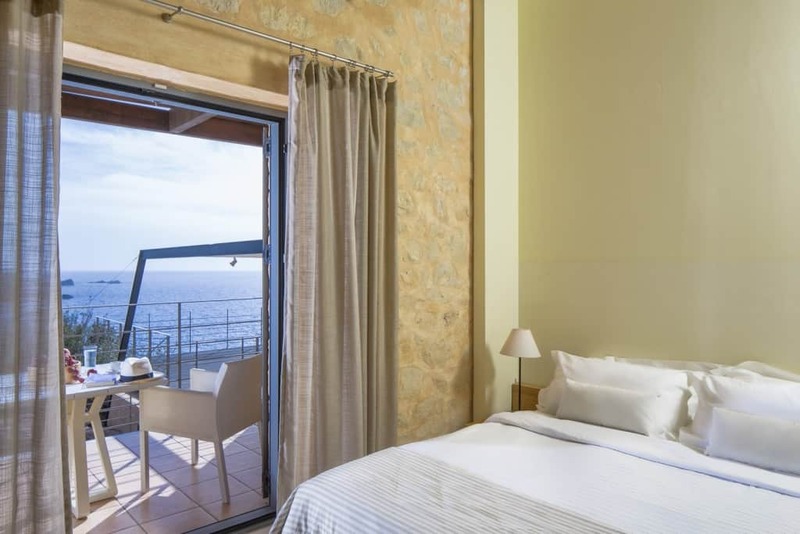 The first of the three bedrooms, located on the ground floor, is a mini suite with en-suite bathroom including a Jacuzzi tub and opens up to the front deck to offer an endless view of the blue sea. 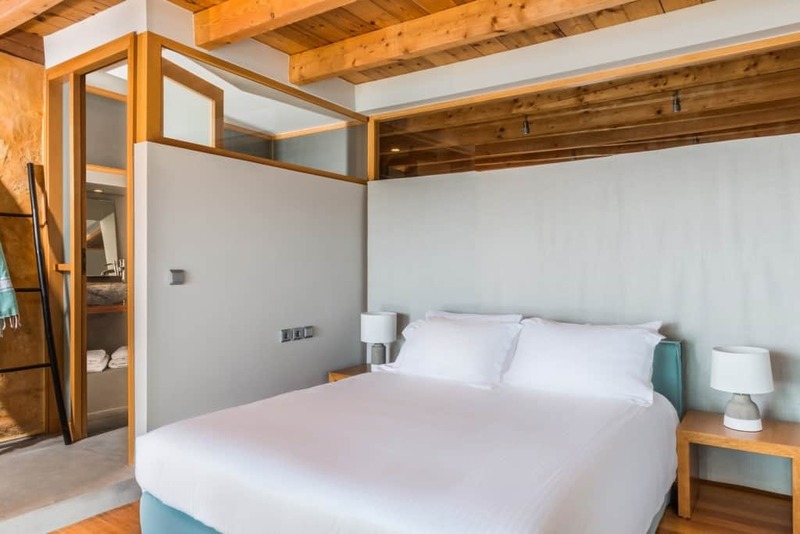 The second bedroom is a spacious duplex with a smart layout, where the upper floor can serve either as a lounge or a children’s’ room. 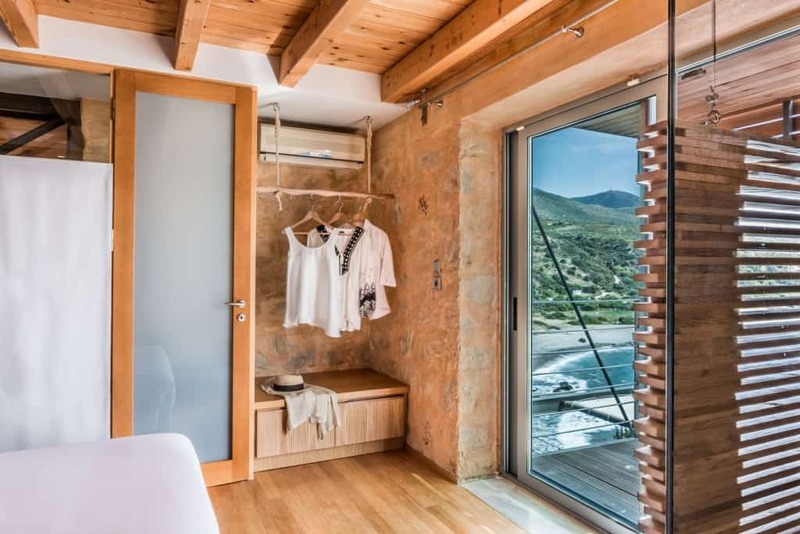 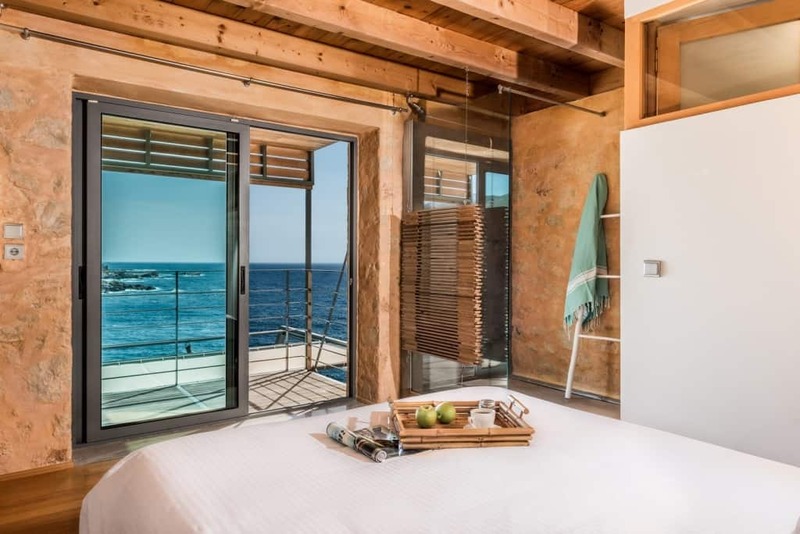 The third room, the highlight of the villa’s interior, is an elevated, ‘floating’ master bedroom –with ensuite bathroom- that opens up to a wonderful private veranda with a sea view.